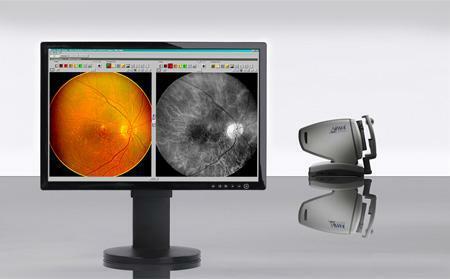 It allows an for enlarged of image of the retina revealing greater detail. RHA provides segmented views 10 layers deep, that a dilated exam cannot. It takes just a few minutes start-to-finish, rather than approximately 45 minutes with dilation. You leave the office with vision intact, rather than with light-sensitivity and blur for 4-6 hours(dilation). Allows for future comparisons--we can compare this year’s image to next year’s image—side by side. Can be reviewed by other doctors, if necessary for medical conditions or co-management with a surgeon. Annual eye exams are vital to maintaining your vision and overall health. Our optometry practice in Richardson, TX offers the optomap® Retinal Exam as an important part of our eye exams. The optomap® Retinal Exam produces an image that is as unique as you fingerprint and provides us with a wide view to look at the health of your retina. The retina is the part of your eye that captures the image of what you are looking at, similar to film in a camera. 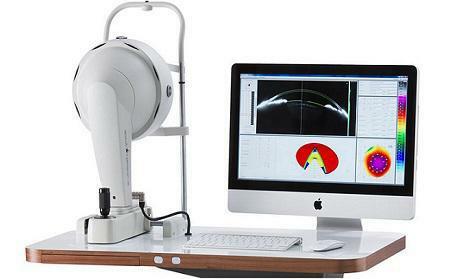 Please schedule your optomap® Retinal Exam in Richardson, Texas today! The RHA™ is a multi-spectral imaging digital ophthalmoscope with a patented optical system that captures high resolution image data through the retinal and subretinal layers. Multi-spectral imaging extends the simple color based analysis eye care professionals use to distinguish between ocular structures. It both expands the examination wavelength range from green to invisible near infrared wavelengths of light and generates the probe wavelengths to separate specific spectral regions for enhanced visibility and discrimination. The combination of the images and extracted data points provides an enhanced view of the retina. Eye examinations are crucial to maintaining and possibly improving your vision and systemic health. The Annidis RHA™ is a state of the art technology that allows your eye care professional to provide you with one of the best comprehensive eye examination tools available, aiding in early detection and on-going management of important sight threatening diseases. The RHA Report™ software helps Dr. Hieu Huynh work directly with you to manage your health. Dilation, the traditional method, requires eye drops that enlarge the pupil area and blurs your near vision for approximately 4 to 6 hours and can cause light sensitivity for that duration. The drops require 30 minutes to take affect and then another 10 to 15 minutes of evaluation with a bright light source and a magnifying lens. The resulting clinical evaluation is similar to the Optomap, if the clinician is experienced, patient is cooperative and pupil dilation is maximized. 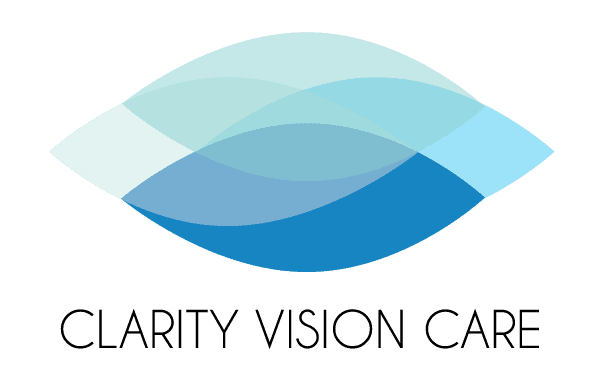 A comprehensive dilation is achieved through 8 to 10 individual inverted views of each retina that is manually documented on the exam form by your physician. Retinal imaging and dilation are complementary forms of examination, one does not preclude the other and both forms may be used at the time of examination for the most comprehensive view of the retina. VEP measures the electrical activity in the vision system. When light from an image enters your eye, it is converted into electrical energy at the retina and travels through the optic nerve to the visual cortex of the brain which processes vision. The Diopsys® NOVA-VEP test measures the strength of the signal reaching your visual cortex and how fast it gets there. The VEP technology in the Diopsys® NOVA device helps determine how your eyes communicate with your brain in a way that no other instrument or vision test can. Pentacam is a simple, painless test to measure multiple parameters of the cornea; including corneal thickness, curvature of the front and back surface of the cornea, anterior chamber depth and various other dimensions of the anterior segment. Common uses of the Pentacam aid in contact lens fitting, refractive surgery, cataracts, and glaucoma. 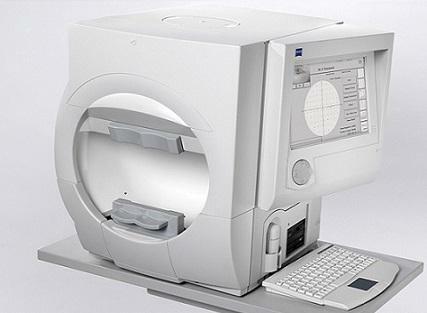 The Field Analyzer is an important tool to detect and follow glaucoma and many other ocular conditions. Patients who either have glaucoma or are suspected of having glaucoma will undergo repeated testing with this instrument. An objective and quantitative point of care diagnostic test that provides precise and predictive information. 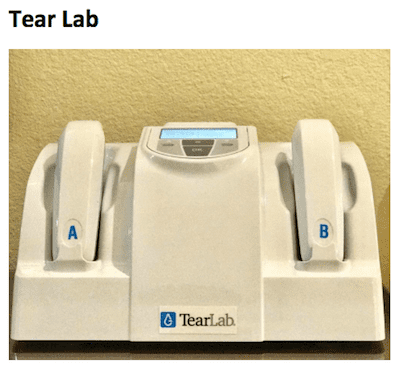 The TearLab Osmolarity System is intended to measure the osmolarity of human tears to aid in the diagnosis of dry eye disease in patients suspected of having dry eye disease, in conjunction with other methods of clinical evaluation. Dr. Hieu Huynh is excited to announce a new and affordable solution for patients suffering from Chronic Dry Eye. 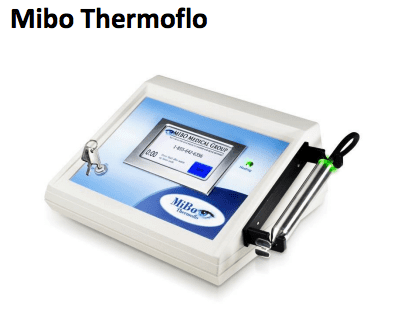 Mibo Thermoflo is a revolutionary dry eye treatment that uses continuous and controlled heat to the outer eyelids with a gentle massage. Ultrasound gel is used as a conductor in which the heat emitted from the device is then absorbed into the tissue and helps melt the meibum within clogged oil glands. This will maximize lubrication and help preserve tears offering instant relief to patients suffering from chronic dry eye. The OCULUS Keratograph 5M is a multifaceted instrument that combines many measurements and dry eye analysis suite into one device. The instrument uses Placido disc illumination to take measurements of the ocular surface, and different colors of light emitting diodes (LEDs) are used depending on the application. 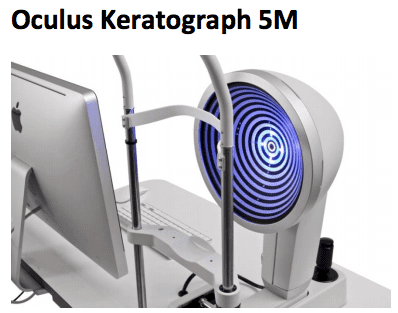 The Keratograph 5M offers Meibo-Scan for meibography of the upper and lower eyelid to check for Meibomian Gland Dysfunction (MGD), the most common cause of dry eyes, the TF-Scan for evaluation of the tear film break-up time, and the R-Scan for automatic bulbar redness classification. The Keratograph 5M features a high-definition color camera that can take both images and video. The device’s built-in software lets the doctor view 2D and 3D images as needed.